The Centre for Communication Skills (CCS) conducts communication modules which are incorporated in SIT degree programmes. It also provides support services to students in search of assistance for their academic writing and speaking assignments. Modules are designed to improve students’ English language proficiency and help them develop both the academic and workplace-ready communication skills that will benefit them upon graduation. The Singapore Institute of Technology is pleased to announce an exciting learning initiative. Titled The Mapletree Challenge, it has the objective of benefitting students from across all five academic clusters. 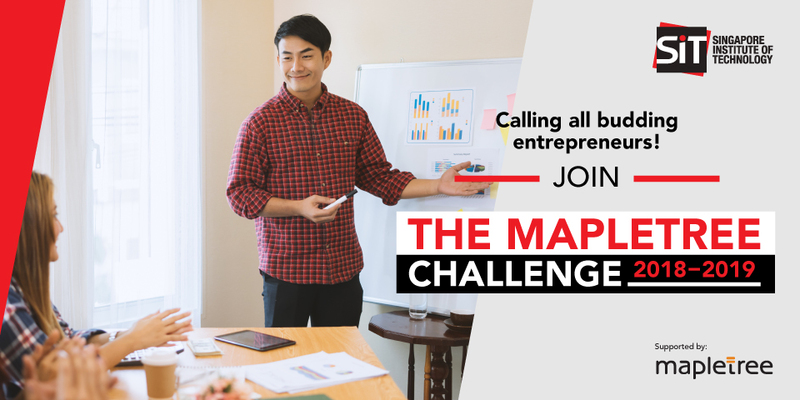 Supported generously by Mapletree Investments Pte Ltd, the Challenge is designed to enhance the communication, personal branding and entrepreneurial skills of SIT students. For more information, visit the challenge website. Students in need of assistance with either writing or oral presentation assignments can book an appointment for a one-to-one consultation through the Communication Helpdesk. The CCS modules fall into the following four categories. Writing-focused modules help students further develop their academic writing skills and prepare them for the communication demands in their content-subject modules. Skills include the use of academic language features in writing; paraphrasing, summarising, and incorporating salient points in a text; paragraph, essay and report writing; understanding the need for academic integrity while using in-text citations and end-of-text references; editing one’s own work; and communicating ideas clearly, concisely and coherently. These modules are developed typically in the form of embedded instruction within content-subject modules that have substantial communication requirements. Such modules prepare students for meeting the communication demands of professional settings. Skills include the use of professional features in writing; formal letter and email writing; the preparation of professional documents and reports; interpersonal and intercultural skills; meeting, team-building and leadership training; editing one’s own work; and communicating ideas clearly, concisely and coherently. The career and professional development modules prepare students for their career search in a participatory way. Segments include career planning and management; cover letter and resume writing, interview skills, and job search strategies.